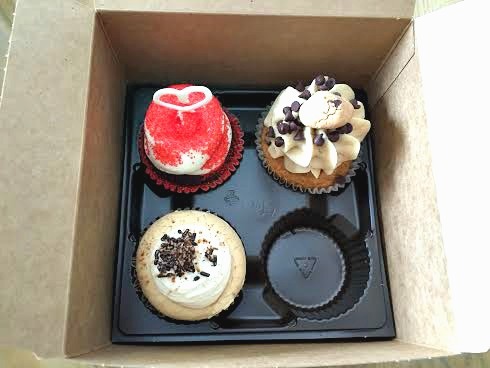 **Disclosure: I received complimentary cupcakes in order to bring this review to you as well as a giveaway. No other compensation was received. All opinions are 100% my own. Gigi's was originally founded by Gigi Butler in Nashville. Gigi began her entrepreneurial path at a young age by starting a cleaning company. However, her lifelong dream was to become a singer. Ever determined, she spent days cleaning and waiting tables while singing at night. Weary of the grueling schedule, Gigi ended her pursuit of a singing career and eventually expanded her cleaning business. Always the entrepreneur, she was inspired to start her cupcake business after her brother waited 2 hours for a cupcake at one of New York's top shops only to realize that it wasn't as good as Gigi's! She opened her first store in Nashville and from there franchised. By promoting franchising, Gigi hopes that help local business owners achieve their dreams. 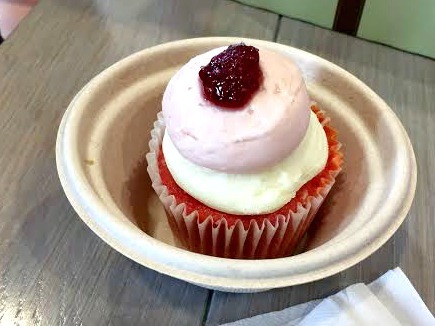 Before visiting, I pondered how a cupcake shop would be able to maintain a sense of variety without seeming boring. Gigi's has a rotating menu that not only varies by month but also by the day of the week. There are some staples that stay consistent but there are other flavors that rotate in and out based on day of the week or even month. So, there are sparks of novelty every day! The tough job: sampling cupcakes! During our visit, we tried 3 cupcakes in store and ported 3 home. The cupcakes are all well presented and look quite dreamy. In addition to the wide variety of flavors, sugar-free and gluten-free options are available. For our first round, we tried the Triple Chocolate Torte, White Chocolate Raspberry and Chocolate Mint Magic. I enjoyed the frosting on the Triple Chocolate Torte but found the cupcake a tad dry. 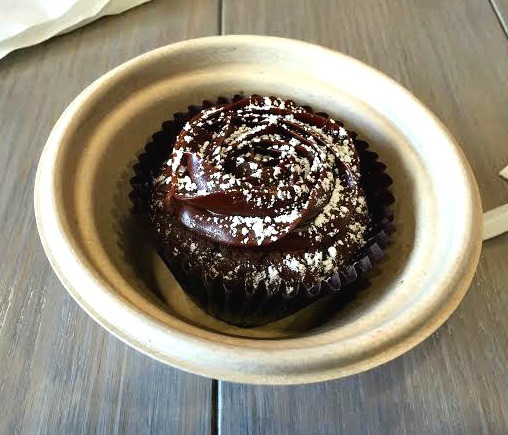 The cupcake is supposed to be brownie-like but it seemed that it could either be moister or even denser. 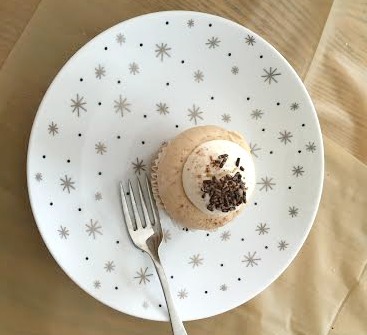 The frosting is quite addictive and I think the cupcake could be quite good with a cup of coffee. My daughter sampled the Chocolate Mint Magic which was our favorite of the day. The cake was moist and the frosting had a pleasant mint. 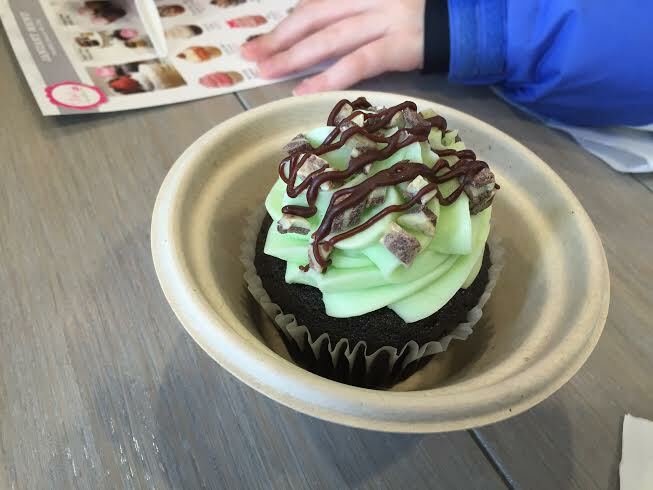 My daughter does admit that she would like a little more mint to the flavor, but a good cupcake nonetheless! The cupcakes transport amazingly well! Gigi's really excels with transportable cupcakes! I have purchased cupcakes from stores before only for them to be smooshed on the way home. Gigi's box held them in place and the frosting kept its form. So the 'Wow' factor of the cupcakes was maintained. At home, we tried the Chocolate Chip Cookie Dough, Scarlett's Red Velvet and the Tiramisu. We enjoyed these cupcakes much better than the ones we had during our visit. The best news is that we savored them the day after our visit, showing that they keep well! 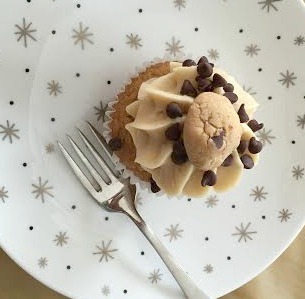 Gigi's gets the frosting on the chocolate chip cookie dough cupcake exactly right! Just like eating dough! The cupcake seemed a bit more like a muffin than a cupcake. If I had a tub of the frosting I would be in trouble----dynamite! We all enjoyed both the Tiramisu and the Scarlett's Red Velvet cupcakes. Excellent frostings and tasty and moist cupcakes. Both are lovely, but Scarlett's does have the wow factor! 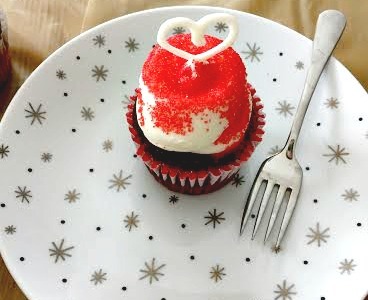 A beautiful cupcake quite perfect for Valentine's Day! 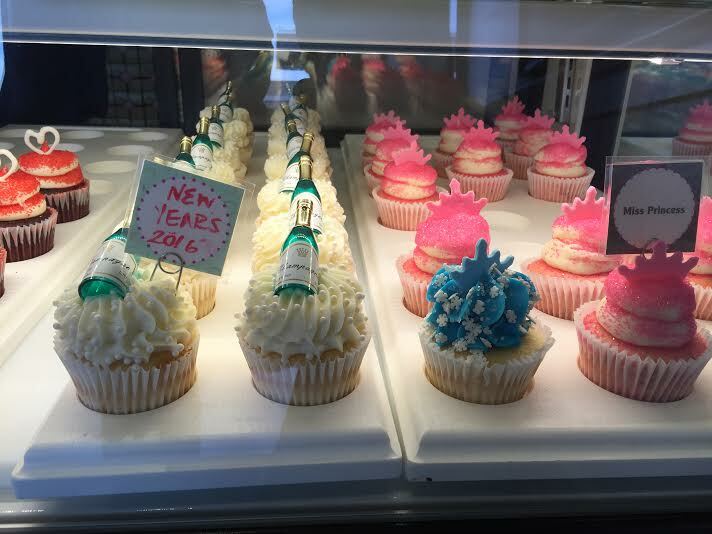 Of course, this is just a small sample of the range of cupcakes Gigi's has to offer. 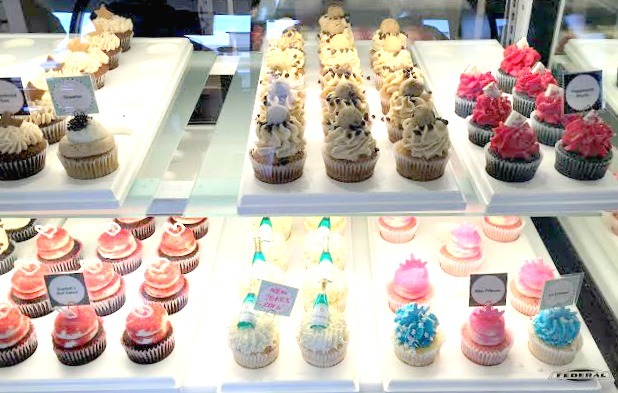 In addition to cupcakes, Gigi's has cakes, cheesecakes and stuffed cookies. If you are trying to time your visit, Gigi's has a menu to help you navigate selections for each day. A great way to map out the baking schedule! As you can see, Gigi's is a sweet addition to the suburbs! The selection is amazing and the cupcakes are just beautiful! Really, a wonderful place to bring the kids for a treat! 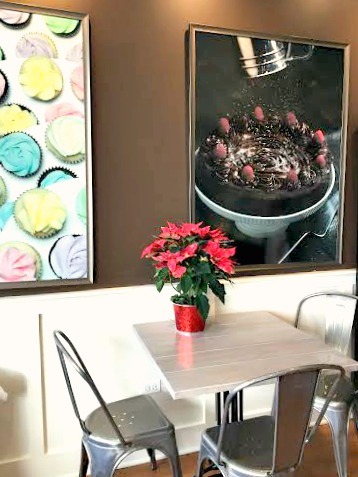 Gigi's Cupcakes Wilmette is located at 3217 Lake Ave in Wilmette. 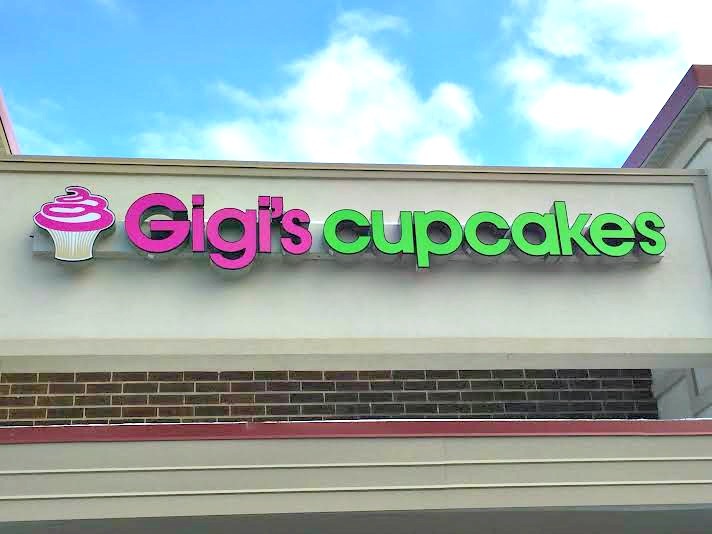 Want to try Gigi's yourself? We are giving away a $10 Gigi's gift card to TWO lucky winners! Please enter below. Giveaway is open to US resident's 18-years-old and older. Giveaway ends 1/13/16. Good luck! Always birthday cake! It's my all time favorite. Scarlett's Red Velvet is do good! I love the Birthday Cake! I would love to try the Kentucky Bourbon Cupcake! I really love the carrot cakes! Peanut Butter Cup for me! Can't go wrong with that! The Candy Bar Crunch looks really good. I want to try the wedding cake cupcake. I've always heard it is the best. Wedding Cake--yum! It looks so pretty! I would love Scarlett's Red Velvet!